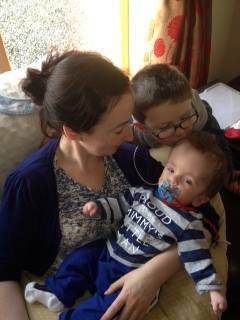 This is baby Conall, Cliona’s Foundation were able to help out Conall’s family in the last few weeks and were so delighted to receive this wonderful picture from his Mum. It is such an honour for us to be a part of so many wonderful families’ lives. Thank you so much to Conall’s Mum for sharing this with us.